Bethesda has announced that its card-battler game, The Elder Scrolls: Legends, is changing hands. The studio previously responsible for its development, Dire Wolf Digital, has been relieved of duty; future development and ongoing support for TES: L will now be handled by Sparkypants Studios. If you haven’t heart of Sparkypants, the studio is also currently developing 15-minute RTS Dropzone, which is in Steam’s Early Access. “Dire Wolf designed and created a wonderful card game with The Elder Scrolls: Legends, one that we very much believe in and want to grow,” the publisher wrote in its Steam announcement. 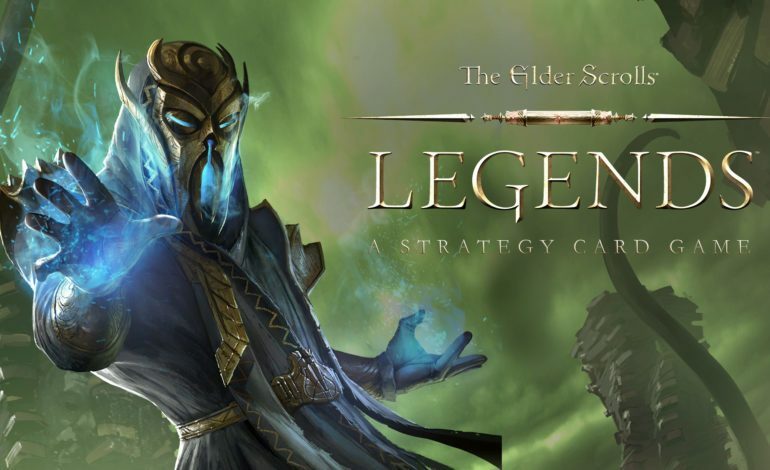 “We believe that this move allows us to deliver on the promise of Legends to our players in the best possible way under Bethesda’s guidance and direction.” To assuage any fears, the post clarified that the core game mechanics, modes, and cards in the game will stay unchanged, along with existing players’ collections and purchased or earned content. Exact timing for this transition has yet to be announced by either Bethesda or Sparkypants, though the publisher has promised to “show and discuss” more about the future of TES: L at E3 2018 in just a few weeks. The Elder Scrolls: Legends is available to play for PC, Mac, and mobile devices.